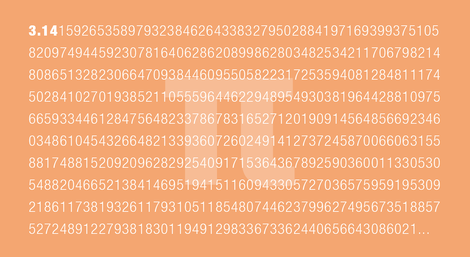 we had π-day last week, so a piq for π seems most appropriate. marc ryman gives a few nice examples for why calculations involving π are fine with 15 digits alone – at least NASA feels safe doing so even for their missions to and beyond pluto, to the edge of our solar system – and why we can leave calculating millions of digits for π to computation nerds. there's an interesting take-home for all of you who are not so much into maths: marc ryman's article explains why it is reasonable to think more about the acceptable error margin of any calculation than trying your best on its most exact solution. this is applicable to everyday-life, and not only at π-day. thanks for the counter-piq! enjoyed it.